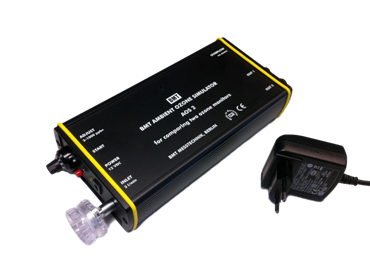 The AOS 2 is a portable source of ozonated air for comparing two ozone monitors with each other, or comparing an ozone sensor with an ozone monitor as a reference. A constant flow of 3 l/min is provided by an internal air pump. The ozone content of this ozonated air can be set from approx. 3 ppbv to more than 1000 ppbv.